Lily Tomlin discusses why she sees "life" in "Grace and Frankie," and how that belief helps her portray the best of comedy and drama. 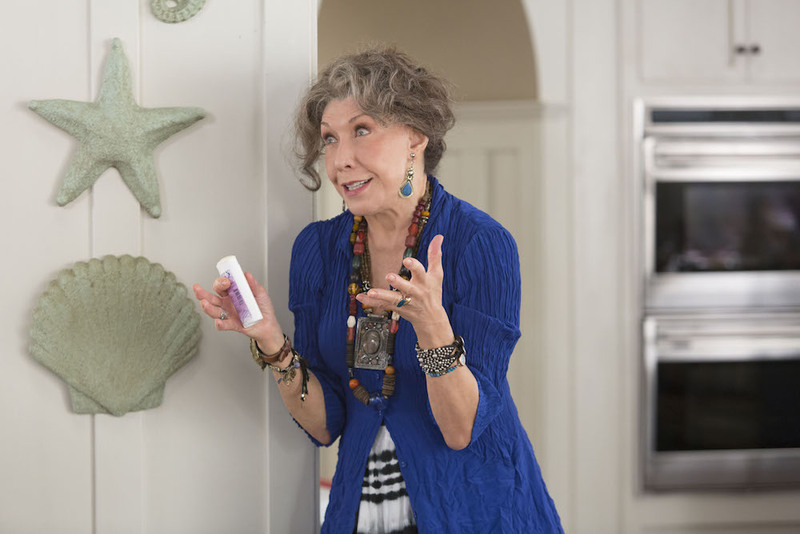 Lily Tomlin knows exactly what “Grace and Frankie” is, even if you don’t. When the Netflix comedy/drama hybrid debuted last year, many fans of “9 to 5” — as well as more recent sitcoms aimed at older audiences — were surprised by the challenging material within the episodes. As the title characters recovered from losing their husbands (who came out as a couple after a decades-long affair together), Marta Kaufman’s series proved unafraid to explore the complexities associated with a loss paired with truth; a breakup for reasons both necessary and infuriating. At the heart of those feelings is Tomlin’s Frankie, a free spirit who doesn’t want to hold onto any ill will, but keeps discovering reasons to be angry and roadblocks in expelling that anger. She’s also the flat-out funniest character on the show, even if Tomlin will only point to her co-star as the source for laughs. In their dynamic, “Grace and Frankie” finds itself, and Tomlin deserves credit for knowing exactly what the show’s tone was from the start. “Grace and Frankie” is a hard show to pin down, both in terms of genre and audience. How do you think about it? It’s just a show that’s made for a lot of people, even though it’s probably targeted at boomers or people over 55. But I know that people who would be construed as boomer kids are very much involved with it. I always run into people when I do concerts on the road. People of that age tell me how much they love the show. It’s like they either are seeing themselves in the future or seeing their parents. Everybody I know who’s seen it, likes it — and they’re all under the age of 30. [laughs] Really? That’s so cool. That’s great. We’ve got our kids on the show and they’re pretty contemporary. They’re not teenagers, but they’re young people. I just think it’s an interesting show. Jane and I love doing it. And we’ve been wanting to do something about aging women and the problems that they face and their just accountability in society. They don’t feel any differently inside. They just maybe begin to look differently outside. Do you think that “Grace and Frankie” still identifies primarily as a comedy? I think it is a comedy in the sense that it casts to be construed as a comedy. It’s just that it has true emotional depth and poignancy. The characters come up against an emotional wall that they have to either circumvent or barrel their way through. And we just want to be true to that — that’s all. I mean, that’s life. It’s a sort of sub-genre: a comedy that has true emotionality and poignancy. Although that’s always been the kind of comedy I’ve gone for myself, personally, just because it’s more true to life. Do you find it difficult at all to balance those tones, knowing when it needs to be a joke and when it needs to be dramatic? No, I think it’s probably what makes it interesting, makes it fun, makes it challenging. We don’t rehearse much. We read through and then we shoot and, very often, you discover a lot of stuff on the fly. Because you’re more open. You haven’t beaten the material to death. And somehow, being with the other players, something’s revealed to you. That’s the best because it has to be coming from a core somewhere. If it plays out that way, it has to be based on some truth that maybe it resurfaces with more clarity. The dynamic between you and Jane really defines the show in a way — both as a comedy and a drama. I think Jane thinks of herself as a straight woman. I say to her, “You are so funny. Really, you have such wonderful moments.” And she doesn’t see it at all. She thinks she has no sense of humor. [laughs] And she’ll always say, “I don’t have any sense of humor. I don’t understand.” And it’s so ironic because of course she understands, and she plays into it. And that makes it kind of fun. She’s always been, as long as I’ve known her, like a 10-year-old in ballet class who’s working the hardest to get the gold star. It’s really sweet. It’s a sweetness and total enthusiasm. If I pass through [where she’s living] doing a show, we’d stop and have dinner. She would be so enthused about some project. And she would just carry on trying to get me to do a monologue about teenagers or some kind of a performance piece that would have to do with a young girl who gets pregnant and doesn’t know what to do. And she would be so enthused. I mean, it would just break my heart if I couldn’t come up to her and do it for her. There’s just something so innocent and good about her. You definitely have those kind of passion projects, as well. Do you just see that element in her and admire it? I think maybe I have a less innocent eye to it. I mean, I feel like I know people, and a certain number of them are not going to come to the meeting or they’re not going to do this or they’re not going to do that. She’s just gung ho all the way through. Even when we did “9 to 5,” she would say to me, “We’ve just got to take a leap of faith.” And I’ve teased her about that for a long time. I say that’s why she’s so darn fit. [laughs] So, I think people who are inclined to comedy, they have a– I don’t want to say a more cynical approach. I don’t think they do, really. I think they’re more ready to be disappointed. And she’s not. [laughs] She’s not ready to be disappointed.